*PLEASE NOTE: This blog typically posts 1 article per week. Due to a backup in guest posts, the selection/approval process is highly selective and I may not be able to guarantee publishing. Thank you for your understanding. Hi there! 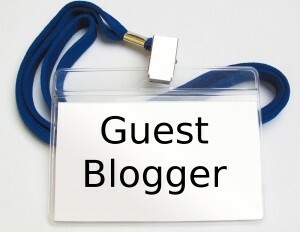 Thanks for your interest in providing a guest post for Campus to Career. I’m delighted that you’re willing to take time to help pay it forward by helping others succeed in their job search. In an effort to streamline the process, please note the information below when submitting your guest post. When sending your proposal, please attach the article for approval. As owner of Campus to Career, I reserve the right to refuse proposed posts if they do not fit with the blog’s mission, vision or culture of the community. Posts can be submitted via email at kirk.baumann@att.net. Topic: Career-focused! Something most people can relate to, not “how to get a job in dry cleaning.” Believe me, folks. I’ve seen quite the variety! Have fun with it – remember, Campus to Career has a lot of readers who are still in college. You have 3 seconds to capture their attention. In other words, don’t be BORING. Bio: short, to the point with links to your site or Twitter feed. Please submit a head shot that may be used. Timeline: Please note: Campus to Career features one post a week, so guest posts may be queued until an appropriate time for use. Comments: I typically respond to the comments left on my guest posts, but as the guest blogger, you’re more than welcome to respond where appropriate. I reserve the right to remove any offensive remarks. That’s it! I hope this helps. Please know that this is in an effort to make things easier for our readers and potential guest bloggers. I look forward to receiving your proposed articles and thank you for helping the job seeker community.